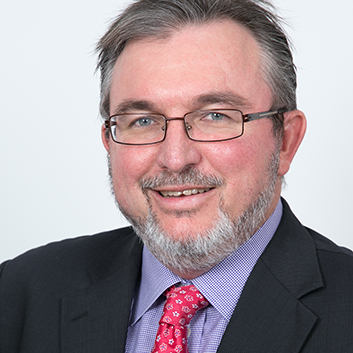 Ian Wright has over 20 years' experience in all aspects of planning and environmental law and has advised a number of large ASX listed companies and corporations, including banks, shopping centre owners and property developers. He has worked for a significant number of major private development corporations and local and state governments in relation to both property developments and master planned residential communities. He has advised on retail, industrial, residential and commercial development projects. Ian has been a member of award winning project teams responsible for projects which have won the 2012 Planning Institute of Australia Award in three categories, the 2011 Planning Institute of Australia Award and the 2008 Planning Institute of Australia Award. Ian has particular expertise advising state and local governments, listed development corporations and private development corporations in relation to state government planning and development legislation. He has advised numerous local governments in urban, residential and rural areas of Queensland. His expertise includes the drafting of land use and infrastructure planning instruments, the drafting of state and local government statutory instruments and the conduct of planning, environmental and public law litigation. Ian has prepared state government legislation including the Urban Land Development Authority Act 2007 and State Planning Regulatory Provisions for various Regional Plans, as well as amendments to the Integrated Planning Act 1997, Brisbane Casino Agreement Act 1983, Jupiters Casino Agreement Act 1983 and Breakwater Island Casino Agreement Act 1984. Ian is a trustee of the Committee for Economic Development of Australia (CEDA). Ian holds a Bachelor of Laws (Honours) and a Bachelor of Arts (Geography and Economics). He also holds a Masters of Urban and Regional Planning. Ian has been a lecturer in Environmental Law and Assessment at the Queensland University of Technology since 1993. He was also a lecturer at the University of Queensland from 1997 to 2005. Ian joined CBP in 2013.